You can’t get much more real than Patty Griffin. She’s down to Earth, mostly melancholy and organic. Lately she’s been “hanging out” with Robert Plant. They spent a great deal of time together recording and touring with Plant’s Band Of Joy, and are currently living in Griffin’s South Austin home, when the pair can be found stateside practicing in their oustanding electric guitars. American Kid (New West) is peppered with Plant’s influence. In spots where that might not be overly evident, Cody and Luther Dickinson from the North Mississippi All Stars add their home brewed flavors. Flavors that are in abundance at their family’s Zebra Ranch studio in Memphis, where the majority of American Kid was tracked. The Dickinson’s were along for the ride to support many of the Band of Joy’s tour dates, so they would have been the logical choice, considering the intention for this disc to be presented in as natural a way as possible, free from modern studio tricks and over processing. 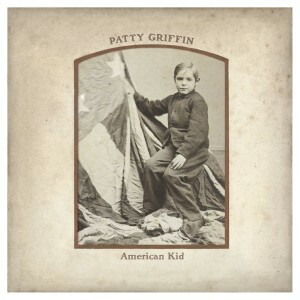 Consistent with Griffin’s body of work, American Kid is an emotional collection of songs, some written during the time she was preparing to lose her father and some penned after his passing. One, in particular, got its title from his own words: “Don’t Let Me Die in Florida.” Plant sings on three of the tunes, and even doctored the arrangement of “Ohio” at Griffin’s request. Originally thought of as a potential Band of Joy number, it is noticeably reminiscent of their mellow blues style.”Wherever You Wanna Go” is textbook Griffin and a great lead off track, welcoming new recruits and comforting veteran listeners. On the insightful “Wild Old Dog” Griffin paints a forlorn portrait of God as an abandon canine, and by doing so has another instant classic on her hands that shines despite its grime like an uncut gem. I am usually all about the deluxe edition with bonus video and a DVD with an interview, but I would have just opted for the standard version had I known the “making of” footage was only about 10 minutes long. It does include High Res audio of the songs, but doesn’t offer much else in the way of extras. 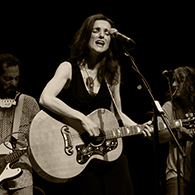 Patty Griffin will grab hold of you and not let go, with her no frills style, strong conviction and deeply emotive delivery. She can have a profound impact on the people that take the time to let her music into their lives. American Kid is no exception. Rest assured it is time well spent.